Tripura is among the smaller states of India and lies in the northeastern part. Previously known as the princely state of Tippera﻿, it gained the status of a new state of the Indian Union on January 21, 1972. Owing to its small size and population, it has only 60 seats in its assembly. Sixty is, in fact, the minimum number of seats a state can have to form its legislative assembly. The state last witnessed elections in early 2013, when the last government’s tenure of five years ended. An amendment in the Indian constitution in the year 1992 provisioned each state to have an election commission of its own, operating under the helm of the state government. On the same lines, the state election commission of Tripura was formally constituted. The newly constituted State Election Commission was empowered to conduct, supervise and superintend all local rural and urban elections taking place in the state. It was vested with powers that allowed it to exercise electoral programmes and initiatives to ensure free and fair elections in the state. The Chief Electoral Officer looks after the conduct of elections in the election commission. 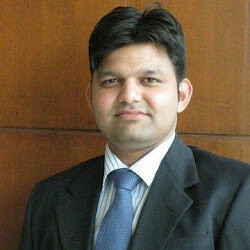 The CEO of Tripura is Shri Sriram Taranikanti, an IAS officer of repute﻿.